Why is tongue strength important for swallowing? Impairment in tongue strength and function can result in difficulty manipulating food into a cohesive unit (a bolus), pushing the bolus to the back of the mouth, and transporting it from the mouth, through the throat, and into the upper digestive tract. Some dysphagia research has shown that tongue strengthening for patients with oropharyngeal dysphagia can help improve their swallow safety and dietary intake. Early uncontrolled studies found that tongue strengthening exercises as part of dysphagia rehabilitation program could be helpful for some patients with swallowing disorders (Stierwalt and Youmans, 2007; Robbins et al., 2005, 2007, Lazarus, 2006). However, more recent well controlled clinical trials have not shown increases in swallowing safety, despite showing increases in tongue strength: either when patients used either of two tongue strengthening programs (Steele et al., 2017); or when adding tongue strengthening to traditional dysphagia therapy did not increase swallowing safety more than traditional dysphagia therapy alone (Kim et al., 2016). Therefore, to date it is unknown whether or not tongue strengthening significantly improves swallowing in patients with dysphagia. Over the past few decades, there have been devices designed to help patients increase tongue strength as part of their treatment program. Some of these devices are outlined below. We provide this information to empower the patient. Please consult with your medical professional as this type of treatment may not be right for you. Do you know of a tongue strengthening device that’s not listed? Add this to the comment section below and we will update our information. 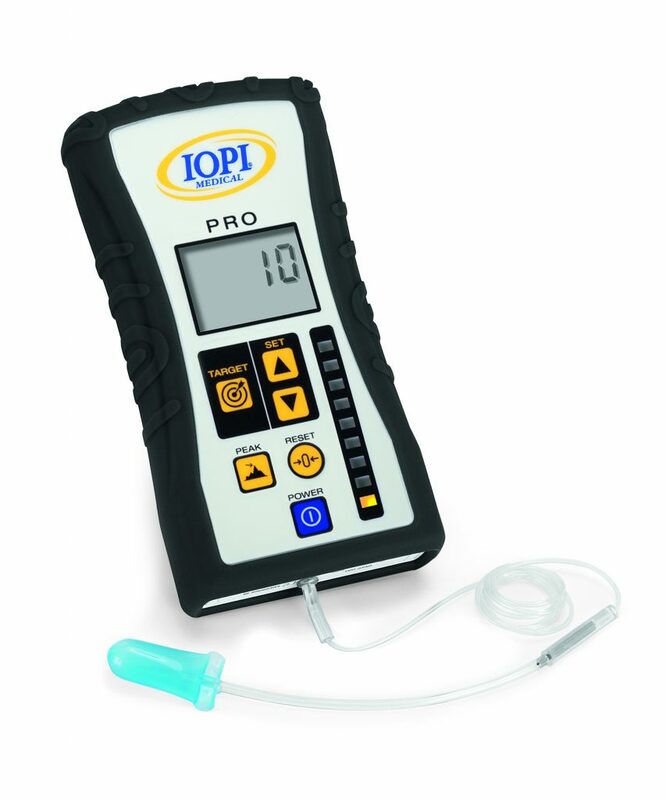 Description: The IOPI® measures tongue strength and can also measure lip strength. For tongue strengthening, an individual will place an air-filled bulb in the mouth and press this against the roof of the mouth with the tongue for a prescribed duration of time and repetitions. With this device, tongue force is measured in kilopascals (kPa). Visual biofeedback is shown in the form of a light array on a handheld device. A clinician can set and modify the target pressures as needed. The newest version allows patients to use the device at home. A new feature coming out in 2018 will allow the device to store data and generate reports. The bulb is for individual use, but the handheld device can be used with multiple patients. Price: For the most accurate information, contact IOPI for a quote. Estimates place the device between ($1,000 – $2,000). 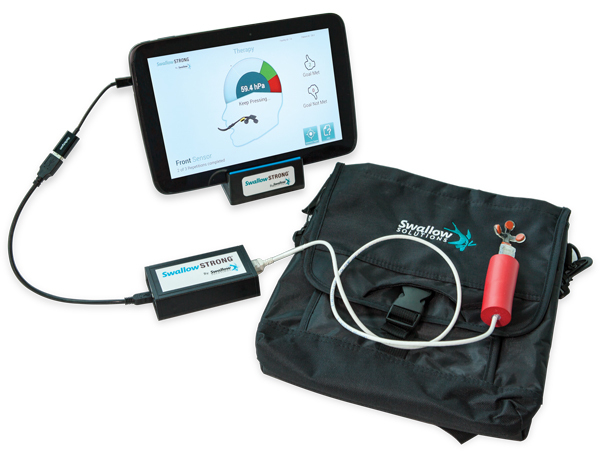 Description: The SwallowSTRONG® system has a custom-molded mouthpiece, tablet, and user-friendly software. A clinician will help to mold the mouthpiece to the roof of the patient’s mouth prior to initiating therapy. There are four sensors on the mouthpiece to target the front, back, and both sides of the tongue. The patient will place the mouthpiece against the roof of the mouth and press the tongue against the sensor shown on the tablet. The software program automatically calculates therapy targets and shows online visual biofeedback. With this device, tongue force is measured in using hectapascals (hPa). Data is collected and can be shared with a clinician to measure progress over time. The mouth piece is for individual use, however the system (tablet and software) can be used with multiple patients. Price: As of November 15, 2017, the SwallowSTRONG® is no longer available for retail. According to the website, systems are still available for rental. Rental costs are $140/month, with a $250 security deposit. Mouthpieces cost $120. 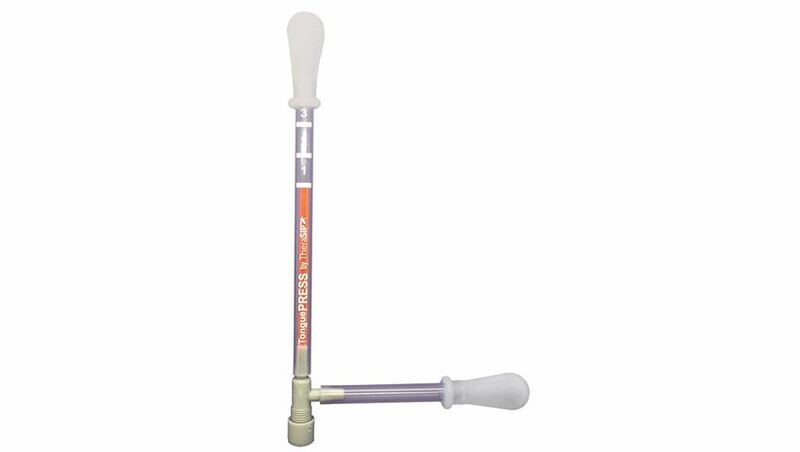 Description: TonguePress is a resistance exercise instrument designed to increase tongue strength. It uses water pressure to provide resistance to the bulb that is placed in the patient’s mouth and pressed against the roof of the mouth with the tongue. An indicator on the instrument rises in direct relation to the pressure applied. Resistance is applied by tightening the air valve. The TonguePress provides visual biofeedback, however does not provide units of measurement or record this data. The company reports this device can be used with adults and children. This is an individual use device. 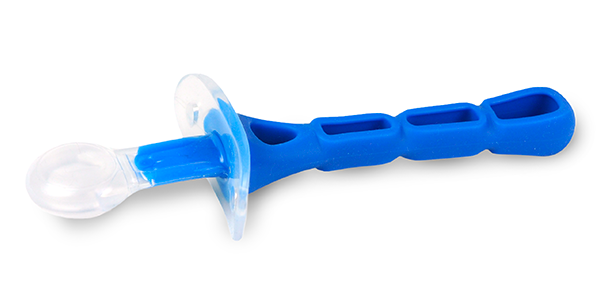 Description: The Abilex™ device was designed to stimulate and exercise parts of the oral cavity, targeting tongue strength, lateral tongue movement, and bolus propulsion. The bulb is designed to simulate a piece of food and is attached to a light weight handle. To target tongue strengthening, a patient places the bulb on the tongue and presses it against the roof of the mouth. This device provides tactile stimulation, but does not provide visual biofeedback, units of measurement, or capture data. This is an individual use device. Youmans, Scott R., Gina L. Youmans, and Julie AG Stierwalt. “Differences in tongue strength across age and gender: is there a diminished strength reserve?.” Dysphagia 24.1 (2009): 57-65. Lazarus, C. Tongue Strength and Exercise in Healthy Individuals and in Head and Neck Cancer Patients. Sem of Speech Lang Path 27:260-267, 2006. Robbins J et al., The Effects of Lingual Exercise in Stroke Patients with Dysphagia. Archives of Phy Med and Rehabilitation 88:150-158, 2007. Robbins J et al., The Effects of Lingual Exercise on Swallowing in Older Adults. J Amer Geriatrics Society 53:1483-1489, 2005. Kim HD, Choi JB, Yoo SJ, Chang MY, Lee SW, Park JS. Tongue-to-palate resistance training improves tongue strength and oropharyngeal swallowing function in subacute stroke survivors with dysphagia. Journal of Oral Rehabilitation , 44: 59-64, 2017. Steele CM, Bayley MT, Peladeau-Pigeon M Nagy A, Namasivayam AM, Stokely SL, Wolkin T. A randomized trial comparing two tongue-pressure resistance training protocols for post-stroke Dysphagia. Dysphagia 31: 452-461, 2016.